Living systems are dynamic and extremely complex and their behaviour is often hard to predict by studying their individual parts. Systems biology promises to reveal and analyse these highly connected, regulated and adaptable systems, using mathematical modelling and computational analysis. This new systems approach is already having a broad impact on biological research and has potentially far-reaching implications for our understanding of life. Written in an informal and non-technical style, this book provides an accessible introduction to systems biology. Self-contained vignettes each convey a key theme and are intended to enlighten, provoke and interest readers of different academic disciplines, but also to offer new insight to those working in the field. 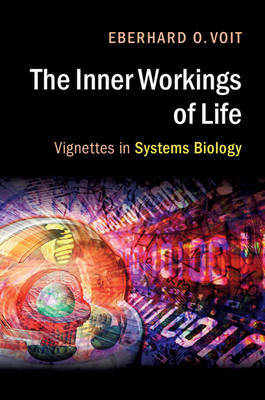 Using a minimum amount of jargon and no mathematics, Voit manages to convey complex ideas and give the reader a genuine sense of the excitement that systems biology brings with it, as well as the current challenges and opportunities.